You know the importance of this subject as it relates to soliciting funding. Pre-money value is where the discussion begins. I know you are tempted to say that a lot of deals devolve to $4-7MM value, $1.5MM investment and a 20% ownership stake. Haha, but life is really not that simple, Old Sport. Those venture capitalists may end up there but it will only be because of a long and circuitous journey. Trust me on this, brilliant CEO. The entire equation begins with pre-money valuation. Go review the calculation here: Once More Slowly Pre-money v Post-money with Option Pool. There are a number of ways to derive the pre-money valuation using a bit of discounted cash flow and other considerations but today the Big Red Car wants to talk about the qualitative considerations. On another day, we shall speak of the more exacting methods. This conversation gets you ready to deal with the math. Who are the founders and what is there experience in such endeavors? Any serial entrepreneurs? Pay particular attention to their educational and work experience fit with the venture. As an example, if this is a medical device company is one of the founders a Medical Doctor? Are they startup guys — even if not founders in the past — and is this their first rodeo? How unique is the venture? What is the pain point to be relieved? What is society’s problem that is to be solved. How big is the long term market? At 10-20% marketshare what is the potential opportunity strictly in size? What is the technology or product? How complex? How easy to duplicate, reverse engineer? Product, service, platform? Is there any real protection for any innovation? A protective moat? Complexity? Patentable? Complex, secret process that is difficult to duplicate? Proprietary production methodology? What is the current status of your service or product? A raw idea? A working prototype? Some customers in place and real traction in the marketplace? Proven product, technology, service just requiring fuel in the tank to scale? Paying customers? What is the current competition? Are you disrupting a current industry? Are you perfecting an existing process? Are you providing a current service at a dramatically lower price point? Are you pushing and shoving for marketshare in an existing otherwise saturated market? Who are your customers and how deep is that pool? How do you get one more customer? 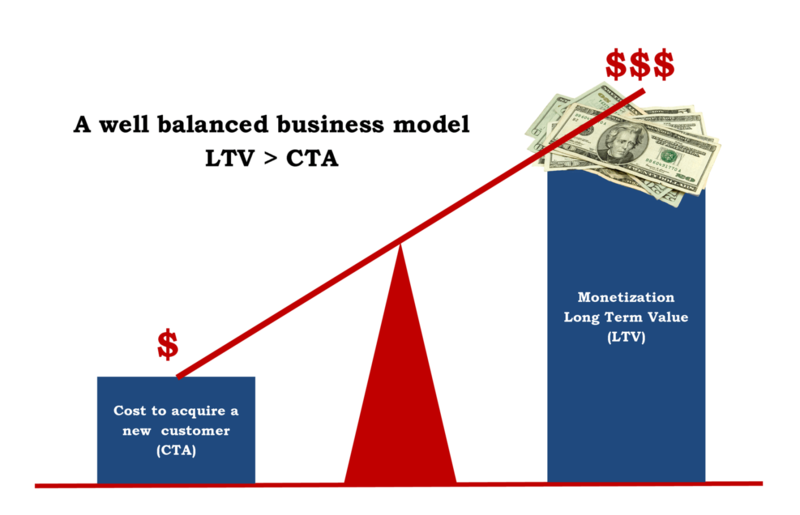 What is your best guess as to the CTA v LTV? Is there a potential feeding frenzy out there? What do the current customers have to say? Testimonials? How will margins ultimately be determined? Are these big tech margins or thin eCommerce margins? Can the margins be improved? Are there likely strategic partners out there upon whose coattails you can catch a ride? Given the initial funding, what is the long term funding requirement? New money or generated by success? How much money to get to the exit? Where does this money go? Hardware? Software? Development? People? What is the likely exit? Why? Exemplars? These questions do not make a business plan and they are not intended to make a business plan but they are intended to provide a frame of reference as to organizing your thinking on the subject of pre-money value. Just sparking thinking. What now, Big Red Car? Well, Old Sport, if you can reflect upon the above and discuss it all with your co-founders, you can intuitively sense where you are in the continuum of “ready to launch” and the quality of that effort. If you are so inclined, research the regional average pre-money valuations with what data you can obtain and grade yourself as being worse, equal, better than those companies on these particular subjects. Some of these subjects may not pertain to your situation. Get the most numbers oriented of the founders to construct a matrix that weights each of these features and apply a percentage to worse, equal, better to construct a valuation matrix. Each element weighted by importance. Each element graded by a multiplier. Work it through and get an idea of where you may stand on a purely quantitative basis. This exercise will give you an idea as to how you compare to the comparables. Not an exact science but a pretty good measure of windage, no? This analysis will be pretty close — it is based on real world numbers from the marketplace, it is based on real data and it is based on your interpretation of your comparative strengths and weaknesses. Play with it a bit and get a range of anwers. It is a damn good start. Rememer this is just intended to get you thinking and thinking is a good thing, Old Sport. Pre-money valuation indeed. But, hey, what the Hell do I really know anyway? I’m just a Big Red Car. Hey, get started on your Christmas shopping and Christmas cards. Merry Christmas and Happy Holidays. This entry was posted in Brainstorming, CEO, Entrepreneurship, Venture capital and tagged funding, pre-money valutation, Venture capital. Bookmark the permalink.